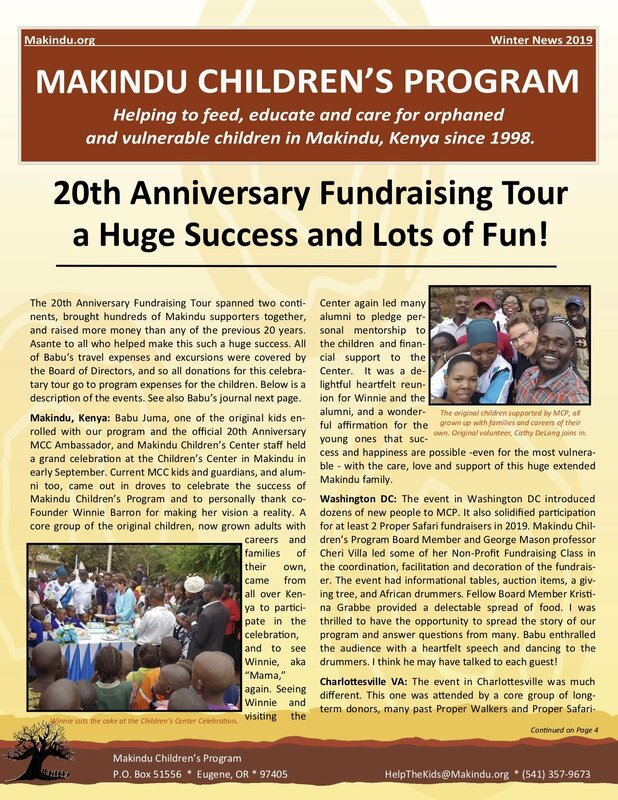 Thank you for supporting Makindu Children’s Program. Take a look at the stories of children’s progress, the Proper Safari and the Proper Walk. We have raised over $150,000 this year between all of our events, activities, and donations. So many lives have improved because of YOU!